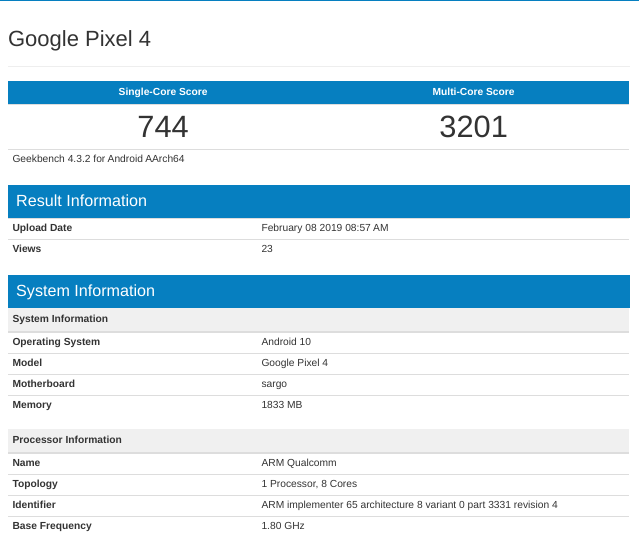 A new Google device with codename ‘sargo’ has appeared on Geekbench yesterday with the listing suggesting it is a Google Pixel 4 handset. 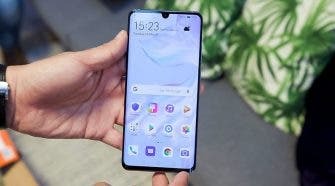 This would be a first for Google’s upcoming range of flagship handsets on the benchmarking platform if this is indeed a Google Pixel 4. Furthermore, the listing shows the handset to be running Android 10.0 while the surprising thing is the amount of RAM which is 2GB. Previously, two devices with codenames ‘sargo’ and ‘bonito’ were found in the list of Google ARcore devices last year. The latter was revealed to be Google Pixel 3a XL, as per a recent Geekbench listing. Now, the other model has also appeared with 2GB of RAM and this could be a low-end variant of the Pixel 4. However, there are some reports that do state ‘sargo’ to be a Google Pixel 3 Lite and this would make sense too. But the new Android version would mean the handset could be revealed near to Google’s I/O conference that traditionally brings the new Android version each year. The Pixel 3 Lite has appeared in full-blown detailed YouTube videos as well as other leaks recently and it’s not a secret that it will be announced sometime in the near future.